CHiCA Power is a FREE 7-week residency is open to instrumentalists in grades 6th-12th who identify as female or non-binary. No jazz experience required! 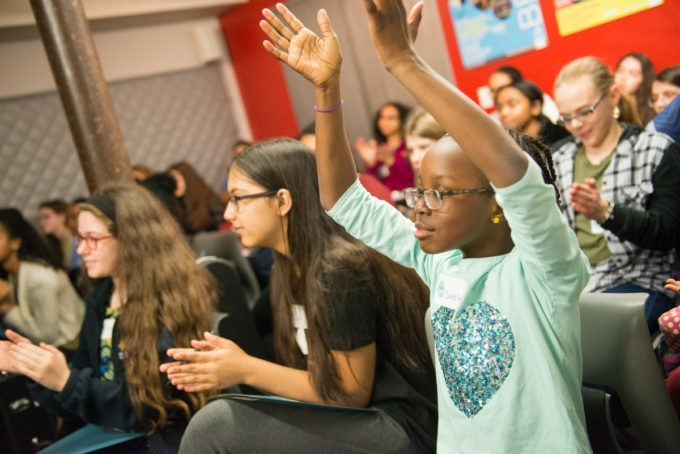 In this workshop series, students will learn about this great American art form and the rich contributions of women in jazz. This program features professional all-female teaching artists, a jam session party, and a final performance. 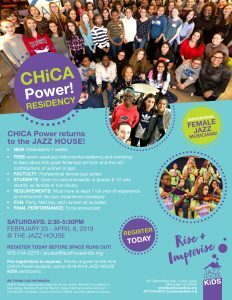 JAZZ HOUSE KiDS would like to thank the CHiCA Power sponsors for their generous support! REGiSTER FOR CHiCA Power TODAY! !